‘How is it that this March 28, 2008 blackmailing global-con-traitor is still alive?’ And what about the government that’s continued to allow the same cretins to continue to call the shots for the last seven years? “The Predator’s and Parasites du Jour” of this world must be removed…ASAP. 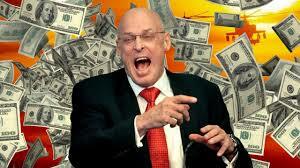 Packaging and the profits from Financial Weapons of Mass Destruction with an uproarious Hank Paulson who is ecstatic over the growth of global inequality (begin @ 2min 30 sec) and keep watching the VIDEO below. This may still be a US dollar-dominated world, at the moment, but the handwriting-on-the-wall has already gone up and before the end of the year, the world could see the full blown challenge to the Dollar as part of the three major components that end in world-war: Currency wars, Trade-Wars and Actual Wars. These ever-shifting schemes have broken through the shadows and the blackmail, to take their place among the three death-ridden elements that are required to formally challenge the US Dollar: That’s now only backed by the pentagon. Part One is very interesting. Part Two is about the global-gatekeepers and the global economy thru fake global-audits. This banking crisis that led to the death of more people than any single conflict since World War Two. Therefore the new-old-face of global auditing, based on the ancient criminal guardian of the gates of Hell that’s been with humanity for over two thousand years must be targeted. 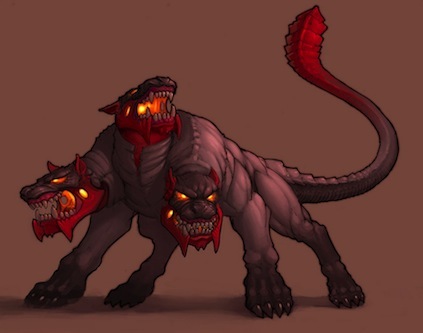 Cerberus must be publicly-murdered if the world is to free itself of these globally-financed-deceptions. 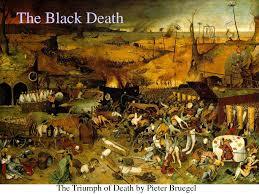 However the number of deaths that will soon come directly from the global failure to pay attention to the plight of the DP’s fleeing the global-war on the world today, will soon begin to look like what happened to the first victims of the Black Death in the Europe from history. The Plague came from ignorance about the way disease was spread among the human population: In the same way the fake ‘War on Terror” of today will generate billions of needless deaths because current generations on the globe are incapable of understanding the forces that are threatening the entire world with global genocide—of the entire planet. While it’s true that once the massive deaths begin to take control over cities and towns, as the ever growing populations continue to lose access to food and water, as well as shelter—it will be too late to stop the onslaught as the old and infirm along with the very young begin to die, almost unseen at first. This form of the Predator’s Ball will return humanity to the darkest days of the ancient curse of the Black Death ­ but many thousands of times worse. This will overrun small towns and villages as the homeless move into Europe and elsewhere in unsustainable numbers. The flood of DP’s is reaching into Greece now. Think about what will happen to thousands of towns that will have no defense from the many more thousands that are coming. Starting @ 12min 17sec to 15min 12 sec: Apparently the planet and its supposed scientists have yet to learn anything about the real threats to humanity: This can be seen by the reaction to this potential new threat unveiled today: Mollivirus Sibericum a ‘monstrous’ 30,000 year old virus with more than 500 genes will be soon be resurrected. In conclusion it has to be mentioned that tomorrow is the fourteenth anniversary of 911 ­ and this is what happened at 6:12 am this morning. When the Stock Markets were suspended ­ twice!